The Yankees were trying to bounce back after being dominated by Justin Verlander last night, but subpar defense and another mediocre offensive output almost resulted in the Yankees losing the second game of this three-game set to Houston. 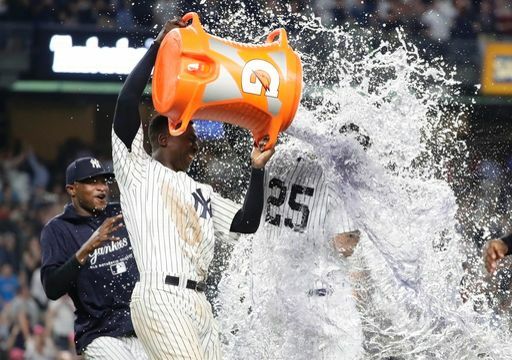 However, the Yankees rallied in the ninth to tie the game at five runs, and Gleyber Torres walked the Yanks off in the bottom of tenth to seal a comeback victory. The Yankees started off the scoring in the first, after a failed hit and run resulted in the Astros not scoring in their half of the inning. Brett Gardner smacked a leadoff home run off of Charlie Morton to give the Yankees a 1-0 lead early. The Astros answered back in the next inning as Evan Gattis launched a no-doubt home run to tie the game at one run each. However, in the bottom of the inning the AL Player of the Week, Gleyber Torres cashed in on an Andujar double to give the Yankees the lead back as he singled him in to make it a 2-1 game. The bases were eventually loaded for Greg Bird, and he was unable to further increase the lead as he struck out looking. CC bounced back in the third but allowed a Marwin Gonzalez double in the fourth, which plated two runs and made it a 3-2 game. The Astros continued their scoring in the fifth when a Miguel Andujar error and a Jose Altuve single set up a Yuli Gurriel RBI single and an Evan Gattis sacrifice fly, which made the score 5-2. With Charlie Morton seemingly settled down, Aaron Judge lined a second deck home run to right field to decrease the Yankee deficit to two runs. Holder gave the Yankees two scoreless innings, Robertson tossed a scoreless eighth, and Betances a scoreless ninth. As per usual, the Yankees did not go down without a fight. 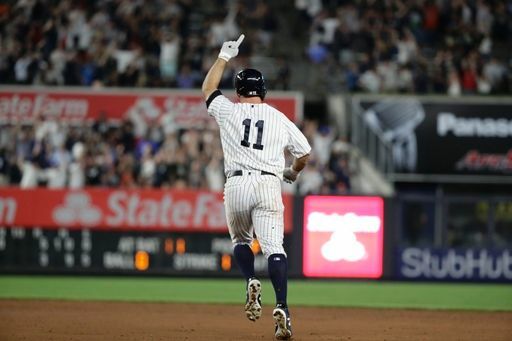 With Andujar on base, Brett Gardner laced a two-run bomb off of Chris Devenski to tie the game at five runs apiece as Yankee Stadium went wild. Judge doubled, and the winning run was on second base. Bird struck out, and Stanton followed with an infield single. Sanchez had the chance to be the hero with the winning run 90 feet away, but had a poor at-bat off of Devenski who he has struck out five times against in five at-bats. Aroldis Chapman came on to pitch the tenth and had mixed control, but did not allow a run to score as Sanchez gunned down Tony Kemp trying to advance to third on a wild pitch. With two outs in the tenth, Miguel Andujar knocked his second double of the day to set up Gleyber Torres. Torres had a lackluster defensive performance, but made up for it with a line shot into right center to walk the Yankees off. It was his second walk off of the season. The Yankees will try to win the series tomorrow at 6:35 PM EST as Dallas Keuchel faces Luis Severino.